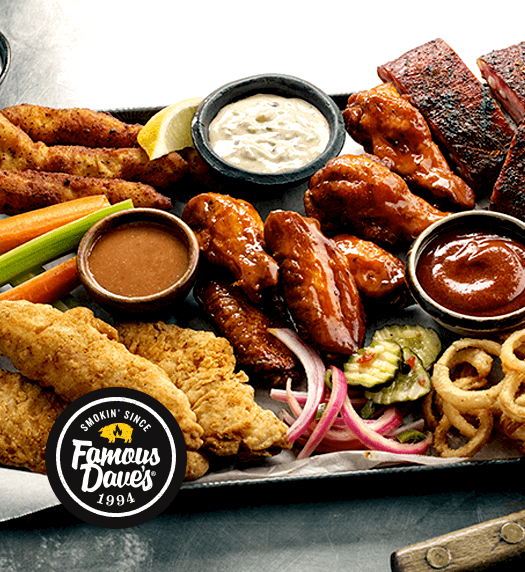 Famous Dave's has a reputation for consistent, high quality food with amazing flavors and great service. 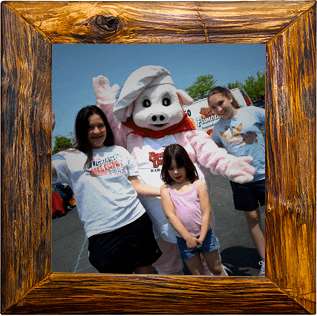 But did you know, each location takes personal pride in supporting the community they serve in? 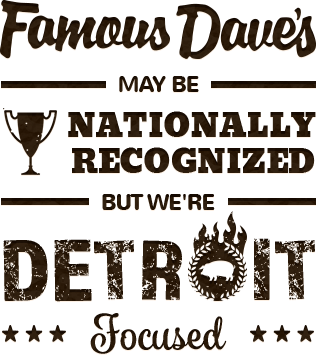 Famous Dave's Detroit gives back to the community through sponsorships, donations and fundraisers. Then, our Pitmasters hand-apply our fresh dry rubs before slow-smoking them in a live-wood smoker stoked with genuine hickory logs. To lock in that deep-down smokiness, each tender cut is finished on the grill, creating our famous char-grilled sweetness on the outside. Our tender, juicy ribs and chicken are amazing straight from the grill or topped with one of our award-winning sauces. It's the best darn BBQ you'll taste in SE Michigan! When you think of the best BBQ you’ve had in Detroit, what comes to mind? Do you think about mouth-watering sauces, tender cuts of meat, and comfort foods like mac ‘n cheese, baked potatoes and creamy coleslaws? We sure do! That’s why we come in early everyday-to prepare our foods from scratch and serve it up with some good ole’ Southern hospitality. 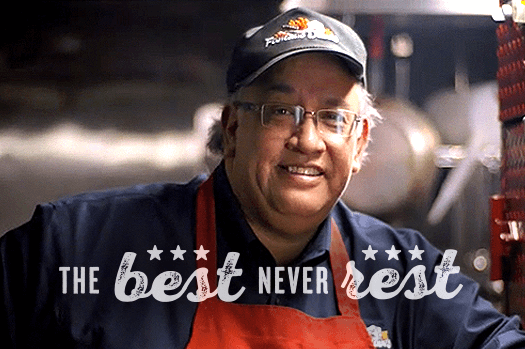 At Famous Dave’s Detroit, we know you love a good barbecue. We also know how busy life can be. 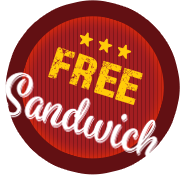 That’s why we are dedicated to offering our freshly prepared lunch, dinner, and catering menus for dine-in, carry-out and delivery. That way, when you want a day off from cooking, have guests coming over, or on your way to a party, you can still enjoy a hot, delicious meal without all the work. Going somewhere? Take Dave’s with you! We offer the same great food packaged up and ready to carry out to a Tiger Game, picnic at Belle Isle or Kensington Lake, or concerts at Meadowbrook, Independence Park, or DTE Energy Music Theater. 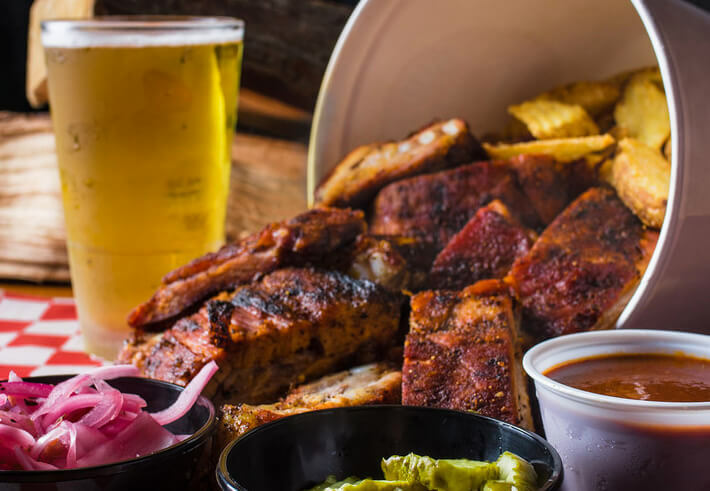 What could be better than your favorite BBQ food at your favorite place to eat it.